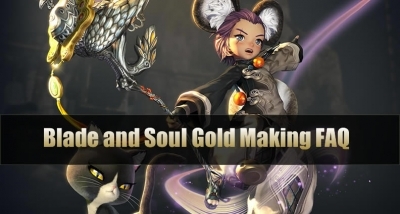 It comes as no doubt that master the Gold Making method is one of the important things in Blade & Soul. With Blade and Soul gold, players can fuel their upgrades and other expenditures, for many players, the end-game goal is to have a good method of making gold. Of course, if you ever find yourself scrambling for more blade and soul gold, but can't seem to find the time, U4GM has got you covered. Now, let's dive into this Gold Making guide. 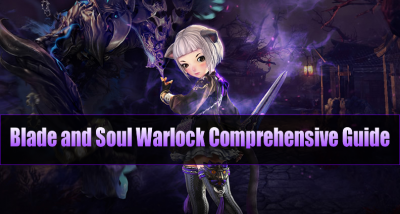 No.1 - What is Blade and Soul Gold? Why do you need to get Blade and Soul Gold? No.2 - How many Gold Making methods are there in Blade and Soul? No.3 - How to Make Gold through "Running Dungeons"? No.4 - How to Make Gold through "Crafting System"? No.5 - How to Make Gold through "Professions"? No.6 - How to Make Gold through "Auction House"? No.7 - How to Make Gold through "Merry Potters Guild"? No.8 - How to Make Gold through "Match Profession and Gathering"? No.9 - Is there any other way to Make Gold? How to do? NO.1 What is Blade and Soul Gold? Why do you need to get Blade and Soul Gold as much as you can? Just like you buy things requires money to be exchanged, similarly, in Blade and Soul, you need game gold for buying valuable materials or items, strengthening your weapons and accessories, and saving your grinding time. NO.2 How many Gold Making methods are there in Blade and Soul? In terms of Gold Making, there are several ways, such as "Running Dungeons", "Crafting System", "Auction House" and more. It is not difficult to grasp these methods. This article will introduce each method as detailed and comprehensive as possible. NO.3 How to Make Gold through "Running Dungeons"? The first and the primary source of gold is running dungeons. This way allows players to team up with some friends to defeat bosses. You can grind normal quests and daily quests through running dungeons. Here is a quick video where the creator put together all of the dungeons in the game and ordered them from best to worst for making gold. There are four or five main areas that give out the most gold: Blackram, Misty Woods, Highland Necropolis, Orchard of Souls, Hogshead Pastures, Lycandi Foothills, and Sapphire Basin. They are only available to high-level players, but again, making gold is most important after you reach the higher levels anyway. Once you get out of the top tier of dungeons, the gold rewards tend to not be worth the time it takes to run them. The monsters in the top dungeons drop a lot of gold, and you can go faster if you are playing a high AoE damage class like the Blade Master. You just need to collect a lot of mobs at once and wipe them out with your AoE skills. SIngle-target and low-health classes like the Assassin won't be able to pull as many mobs at once, so they will gather gold more slowly. As a bonus, you can also pick up some EXP using this approach, so you can get through those last few levels as you approach the cap. Of course, you can get the reward through your hard fight and adventure, such as Soul Shield. The Soul Shield is made of eight individual pieces. If one player can collect a full set of soul shield, he will be granted the extra bonus. NO.4 How to Make Gold through "Crafting System"? You can craft useful items and sell them on the open market to other players. 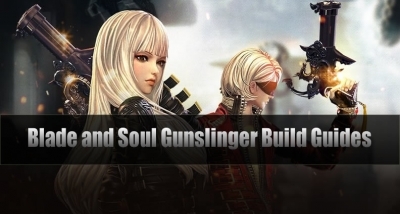 In Blade and Soul, you may select two crafting guilds and two gathering guilds. Then you can use your four guilds to create two types of materials and two types of craft goods. For example, the Fish Network guild lets you craft fish materials. To make a good income, you have to know which crafted products are in high demand, and you need to keep track of them, because the market demand is protean, and the price is fluctuant with the market. It changes as new players reach the level cap and as patches change which upgrades are important. Right now, one of the best guilds to choose is the Soul Wardens, who create transformation stones. These are important items for almost every upgrade in the game. That means players of all levels will need them and will have to purchase them, so demand will always be high. You can use the stones yourself as well, saving you the money you would have spent to purchase them. As for the other profession to choose as a crafting guild, the Merry Potters guild is a good complementary choice. The crafts from this guild are materials in the transformation stone crafts, so you can reduce the cost of your transformation stone crafts by making those materials yourself. This increases your profit margin. In addition, the Merry Potters' crafts are good to sell to lower level players for the Windstride quest, and you can sell the transformation stone precursors to other high-level players. There is one more reason to choose these two guilds together: they use overlapping sets of materials. Both guilds draw on the output of the Tree Fellers to craft their goods. You can then pick either the Green Thumbs or the Trapper's Alliance as your other gathering profession. The Soul Wardens need meat and the Merry Potters need soil and grain. NO.5 How to Make Gold through "Professions"? In general, some professions can bring in money, but sometimes they can't. There are two phases: in the early game and in the late game. The profession in different periods of the game shows different value. 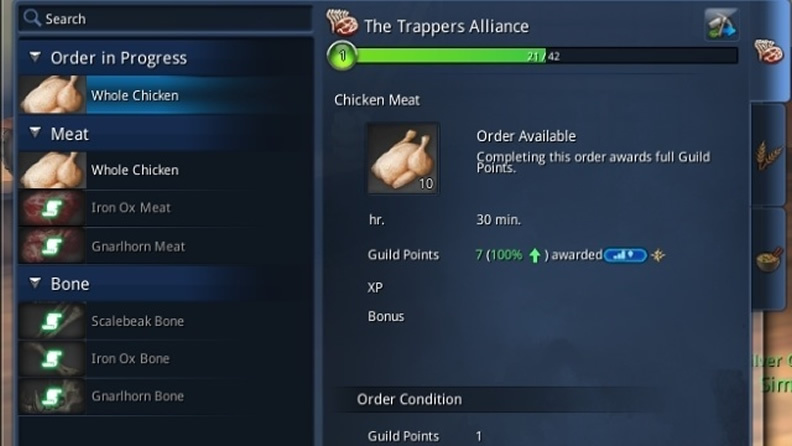 For example, the food guild is not particularly important for players, since food items are not in high demand for them. Highly useful items for early-game players and some decent crafts for later game players are provided by the pottery guild. For the players' big Windstride quest in early game, players will need pottery materials. People crafting evolution stones will find that refiners and bowls are important later on. NO.6 How to Make Gold through "Auction House"? The auction house plays an important role in the game, and you can sell the crafts and materials that you have acquired in dungeons to the market. Blade and Soul starts off rapid until level 45 and then slows down to a grind thereafter. Except for buying some important materials if you cannot find them yourself, you will not need the auction house very much at the start. Further on, selling things of your own and buying more and more materials will require the use of the auction house. Blade and Soul gold is very important in the end game, because there are so many materials and items you need to acquire. If you can find a rare item and then sell it for a high profit, which is useful for you, once you have exhausted in daily dungeons. NO.7 How to Make Gold through "Merry Potters Guild"? Merry Potters can make jars, pickaxes, bowls, refiners and special items. Merry Potters guild and Evolution stones guild are complementary. In addition, the Merry Potters' crafts are good to sell for lower-level players for finishing the Wind Walking quest, and you can sell the transformation stones for higher-level players. A very good combination is the Merry Potters guild and the Evolution Stones guild, which lets you craft your own materials, and makes sure both guilds are in high demand at all stages of the game. The Merry Potters guild needs crops and the Evolution Stone guild needs meat, and you can use crops and meat to craft materials, or exchange some money on the marketplace. It is not a good idea to choose a profession based only on how much money it brings in. NO.8 How to Make Gold through "Match Profession and Gathering"? NO.9 Is there any other way to Make Gold? How to do? This is one of the best end game profession. It centers on collecting common and rare stones, and it ties with the Forest keepers for crafting weapons and tools. Scrolls can be found from enemy's loot like food, however, it is not often dropped. Revival charms might be interesting to sell in the market. However, most customers will be early-mid level players. You can sell accessories to make gold, but the highlight is making keys. Keys can let you unlock weapon chest crafting gem box and to pass some quest. Also, it can make you profit in the market. It is quite good for this profession. It may not make you rich but you will surely have enough cash in hands. It is not what it seems, not the ideal profession. We can't deny that potion is essential to the game. In PvE or PvP, you will need to drink potion. Well, you don't have to make it, the potion can be found easily. It is almost the standard loot. Antidote might be useful, it is good at late game. To sum up, it is not a popular profession. Pottery makes container like bottle, jar, and bowl. These are useful items for crafting and are really important in higher level crafting. Sometimes it is a requirement for quests. Sticking with this profession can make you gain profit since other guilds like Culinary and Soul Shield Researcher will need your product. The Warlock is a medium-ranged caster that relies on empowered Talismans, harnessing dark magic, floating supernatural writings that can be consumed or unleashed to great effect - to protect or attack. They primarily focus on summoning visceral and nefarious restraints and weapons that through their Talismans, like spikes and chains. 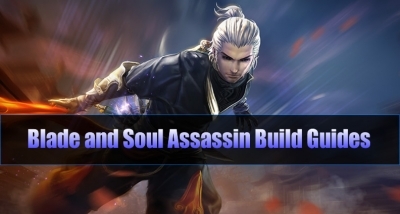 Assassin can choose to use either a Lightning build or a Shadow build. This article will share the lasted popular build guides on Lightning and Shadow, some PvP and PvE basic build guides for you. 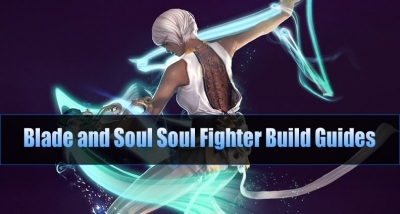 The Soul Fighter can choose to use either an Earth build or an Ice build, the two are all useful for maximizing your damage based on your gear and ping levels. This article will share the lasted popular build guides on Earth and Ice, some PvP and PvE basic build guides for you. The Gunslinger is a unique martial artist as a gun-toting wrecking machine; entering battle with dual wielding pistols capable of taking down the hardiest of enemies. Gunslingers can also make use of a special grappling hook that aids them in both offense and defense. Blade and Soul, this blockbuster game is in its final stages of preparation for the release date. According to Blade and Soul team, a new teaser trailer for the game's was released, it revealed the tenth playable class, the Maestro. 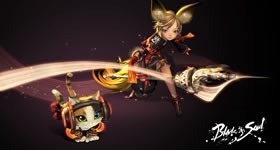 Meanwhile, as the aspirations of the players, NPH has published and posted information about the configuration of the Blade & Soul game experience. The Summoner and their Familiar are a purr-fect team that always fights together. Summoners are specific to the Lyn, and are the only class that make use of a Familiar. 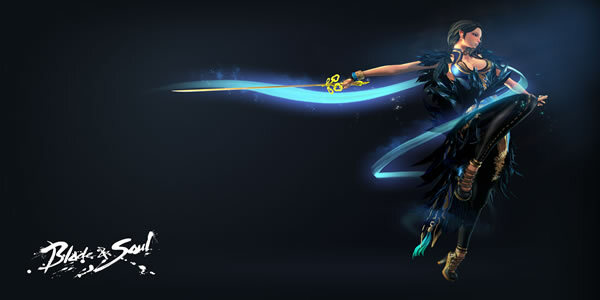 The Familiar engages with opponents in melee, drawing their attention, while the Summoner attacks from a distance. 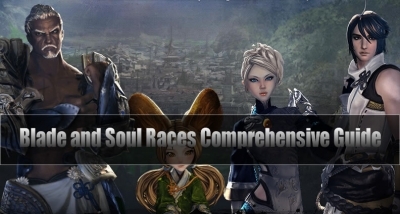 In Blade and Soul, there are four races to choose from: the deliberate Gon, the mischevious Lyn, the elegant Yun, and the industrious Jin. Each race has a unique appearance and some inner power. Now check out what class is available for the race you want to be! The Gunslinger can choose to use either a Fire build or a Shadow build. This article will share the lasted popular build guides on Fire and Shadow, some PvP and PvE basic build guides for you.